A preliminary investigation reveals the boy, who has not been identified, was riding a Huffy bike on the sidewalk near 15 Laurel Street when he left the sidewalk and entered a parking lot. The Nissan Amada pulled out of a parking spot and struck the bicycle with the front of the vehicle. 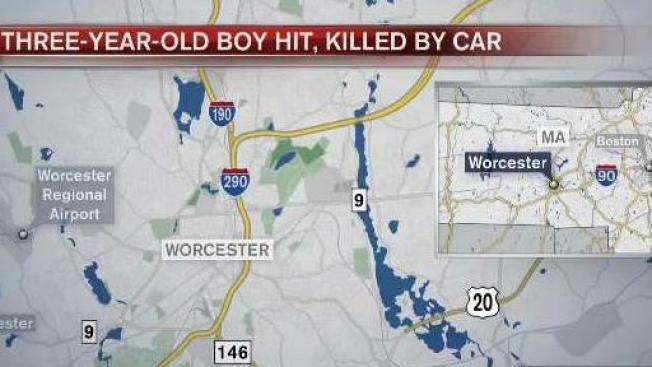 A 4-year-old boy was killed Sunday when he was struck by a car in Worcester, Massachusetts. Police responded to the area of 11 Laurel Street around 2:45 p.m. for a report of a child struck by a car. The victim and his dad were driven to the hospital by the driver of the Nissan Amada who hit the little boy, police say. Officials initially reported that the boy was 3, but the child's mother spoke with NBC10 Boston and confirmed he was 4-years-old. Officers responded to the scene originally where witnesses told them the boy was taken to the hospital. Authorities then went to the hospital where they learned the boy had died. There are no criminal charges or citations at this time, and the driver has not been identified. The fatal crash is under investigation.